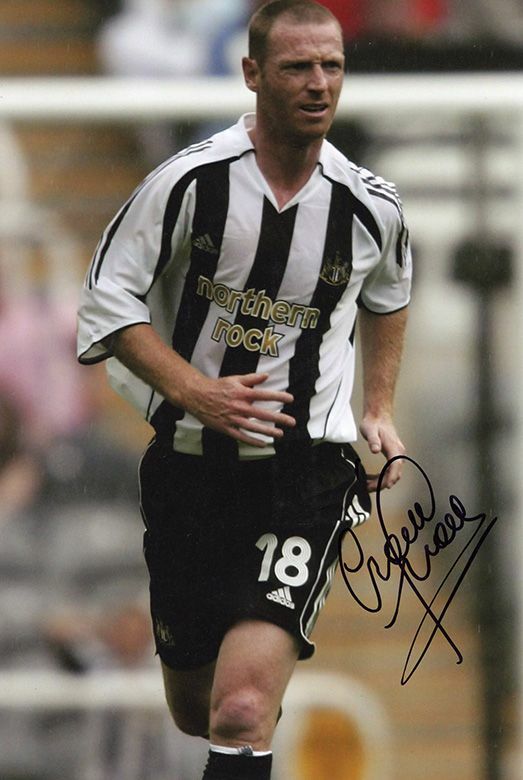 Craig Moore Newcastle Utd signed 12x8 inch photo. Craig Moore, Newcastle Utd, signed 12x8 inch photo. 12x8 inch colour photo personally hand-signed in black sharpie pen by Craig Moore, Newcastle United FC and Australia. Moore joined Newcastle in July 2005 from Borussia Monchengladbach. He previously played in the SPL for Glasgow Rangers. He was capped 52 times for Australia.